Wentworth Miller has revealed he is gay and declined an invitation to the St. Petersburg International Film Festival because of Russia’s anti-gay legislation. 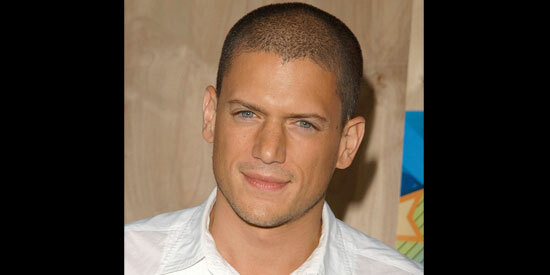 Wentworth Miller has revealed he is gay. The Prison Break star, 41, took a stand against Russia’s recent anti-LGBT (Lesbian, Gay, Bisexual and Transgender) legislation on Wednesday (August 21) by refusing to attend the St. Petersburg International Film Festival and opened up about his sexuality for the first time. In a letter to the festival’s organizers, that was also posted on gay rights organization GLAAD’s website, the British-born actor said he could not "in good conscience" attend the event because of the country’s stance. The actor wrote: "Thank you for your kind invitation. As someone who has enjoyed visiting Russia in the past and can also claim a degree of Russian ancestry, it would make me happy to say yes. However, as a gay man, I must decline. "Perhaps, when and if circumstances improve. I’ll be free to make a different choice. Until then."